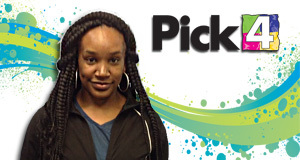 Congratulations to Shaquinda Burks of Lake Providence on her big Pick 4 win! "I was so excited!" Shaquinda told Lottery staff. The winner purchased her lucky ticket at local store, Jong's, and plans to put her new dough in the bank.